Health Benefits of Jalapenos Peppers: Jalapenos are small in size, just 2 to 4 inches long, but the jalapeno pepper is packed with nutritional punch and with an impressive amount of two important vitamins. Jalapeno peppers are one of the favored varieties of chili peppers, a nightshade vegetable well-known for a hot and pungent flavor. In fact, the name “jalapeno” is derived from provincial capital, Xalapa in the Eastern Mexican Veracruz state, where they cultivated by early settlers. These small, fiery green peppers provide multiple vitamins, minerals, and antioxidants to support a healthy body. Let’s see amazing Health Benefits of Jalapenos Peppers here on this page. 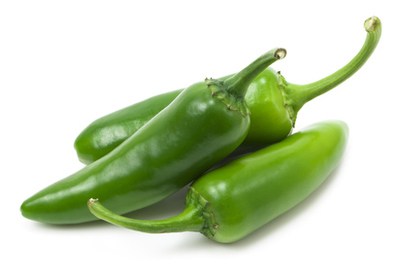 Jalapeno Peppers are lowest in calorie count and barely contain 3-4 gms of calories per Pepper. They are also extremely low in saturated fat. Let us check out the health benefits of Jalapeno Peppers which will help you to keep the diseases at bay. Peppers contain a chemical known as capsaicin, which is actually what gives peppers their hot properties. Capsaicin is also good for helping you lose weight, and is commonly found in many weight loss pills and supplements. Capsaicin literally burns away calories and fat. So that hot feeling you get from eating peppers is also burning away the pounds. Jalapenos provide antioxidants in addition to vitamins C and E. Antioxidants are phytochemicals that can scavenge free radicals in the body that you acquire through exposure to pollutants in the air, food, and water. Antioxidants can help prevent the onset of disease. Jalapenos contain vitamin C to fight free radicals that can help prevent the mutation of healthy cells into cancer cells. Jalapenos are a chili pepper, and chili peppers commonly have lots of flavinoids, Vitamin C and Vitamin A. which are useful in lowering the blood pressure. The capsaicin in peppers is also known to block the neuropeptide known as Substance P, which is a main pain transmitter to the brain. Peppers can actually help to ease the pain. Peppers might not be able to cure stomach ulcers, but they can prevent the ulcers from happening in the first place. Jalapeno Peppers are packed with antioxidants and are also a rich source of the vitamin C. This helps in killing the bad bacteria in the stomach or in the case of the mouth ulcers in the mouth. Too much fluid in the body can be bad in multiple ways, but most commonly it’s bad for the heart. Peppers cause you to sweat, and the more you sweat, the less fluid there is in your body. Capsaicin also acts as an anti-inflammatory, which makes it great for reducing swelling and pain in those who suffer from arthritis. So stock up on some jalapeno peppers if you have arthritis.